Book now! Places still available! CMST Ensemble ‘Recorders Rule’ have been busy this term. You can read all about what the ensemble have been up to by downloading the latest newsletter here. There is also an application form attached if you are interested in joining the ensemble in the New Year. 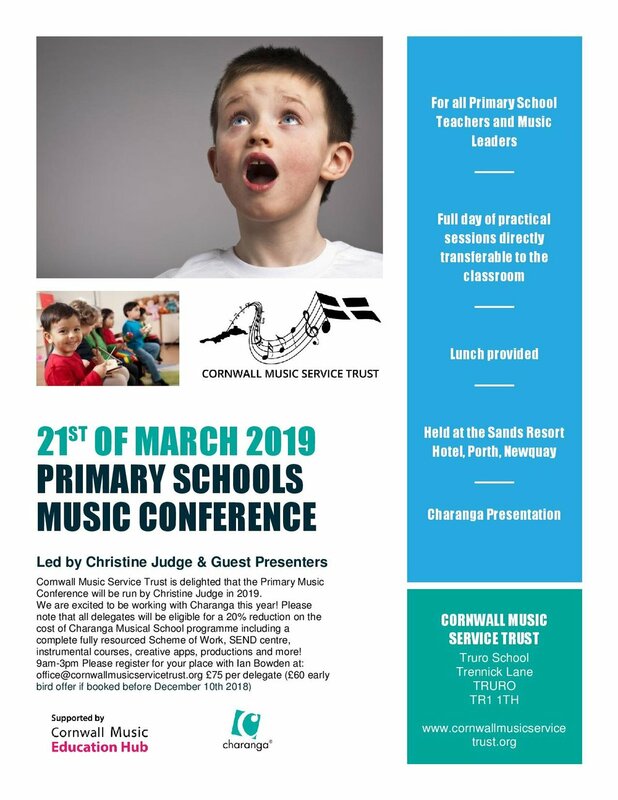 jingle bells Recorders Rule from Cornwall Music Service Trust on Vimeo. 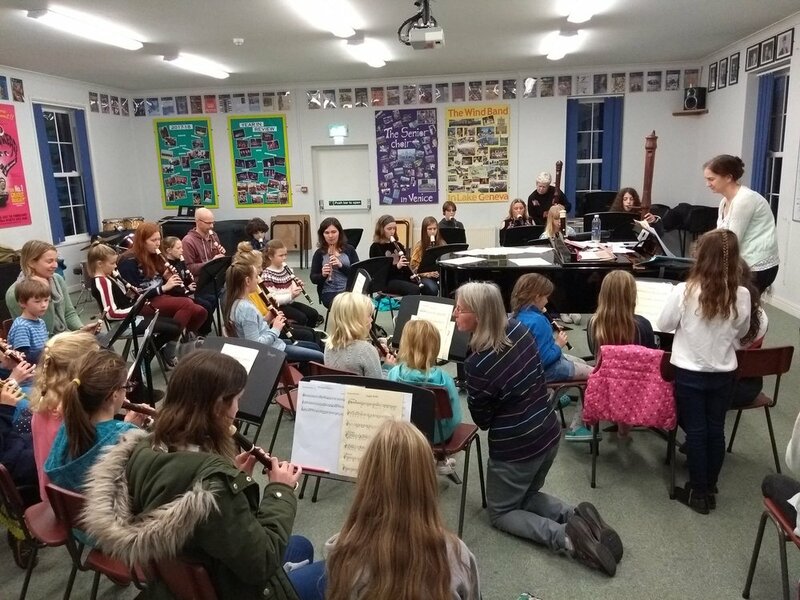 Congratulations to Cornwall Music Service Trust pupils Holly C and Sophie W who recently won awards at the recent St Austell Music Festival. Holly and Sophie receive a CMST award lesson at Penrice Academy. Well done! 17 Brilliant Brass players (including 4 French Horns!) 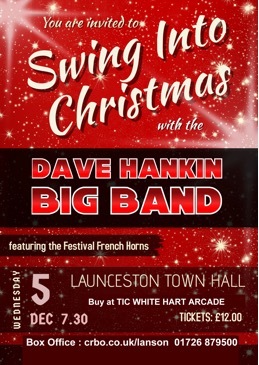 and rhythm section, performing fun swing arrangements of Christmas music (in the style of Michael Buble). Please go and support them. We don’t get much opportunity to hear things like this, so please make every effort to go along. 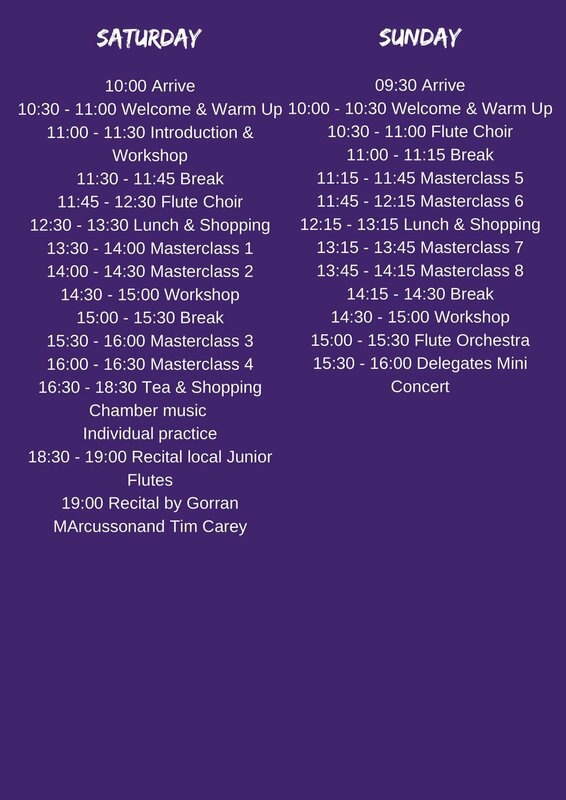 We are excited to announce details of the forthcoming Cornwall Flute Festival which will take place on Saturday 30th and Sunday 31st March 2019 at Truro School with special guests Goran Marcusson and Tim Carey. An application form can be downloaded here with a PDF copy of the poster, below, available by clicking this link. Closing date for applications is 1st February 2019. 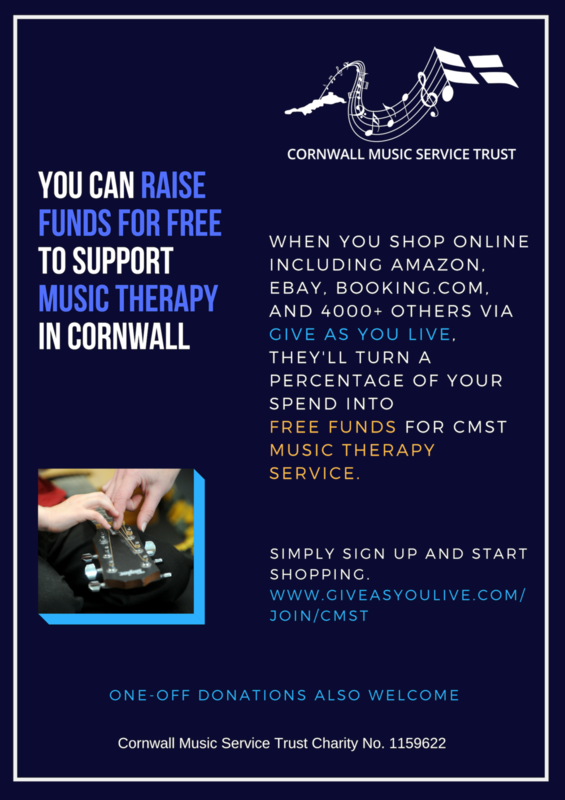 Cornwall Music Service Trust are fundraising to support Music Therapy. We need more money to deliver music therapy sessions to the people who need them most. Please support if you can by using Give As You Live to donate for FREE while you shop online or buy reusable gift cards for high street stores. You can also make a one-off donation. Please watch the video, below, from our Professional Lead for Music Therapy, Liz Eddy. A PDF version of the above poster with clickable links is available to download here. The Musician’s Union has produced a booklet entitled ‘Guide to Forming a Music Service Trust’ which has been written by Cornwall Music Service Trust’s Head of Service, Gareth Churcher and Inclusion Manager, Steve Hawker. It contains detailed information covering a wide range of areas from contracts to administration and gives the historical context behind the formation of CMST. The guide aims to give a positive vision for models of delivery for music services which maybe under threat of closure or for areas of the country where the axe has already fallen. An electronic version of the guide is available to download here. On Sunday 4th November 2018, the Cornwall Music Service Trust Brass Quintet played as guests of the Loveny Male Voice Choir in a World War 1 Commemoration event at St Petroc’s Church in Bodmin. 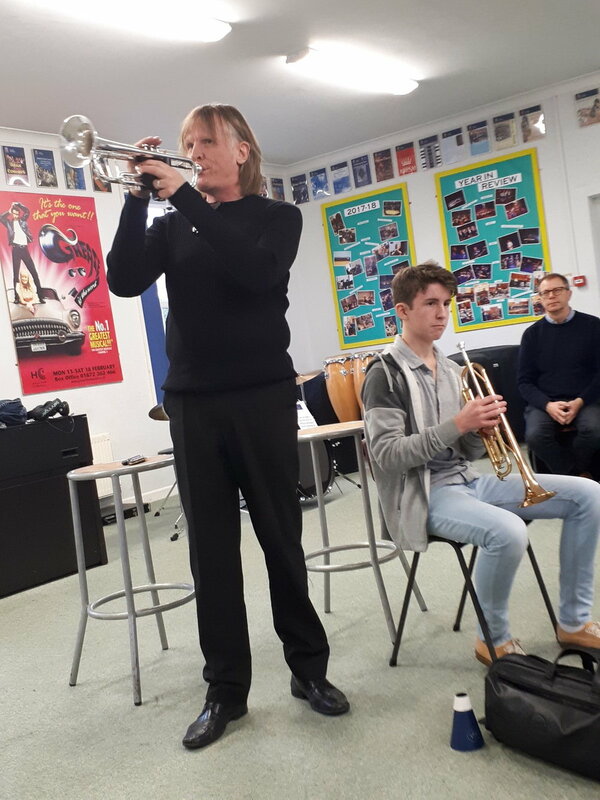 CMST Trumpet students had a wonderful experience when they met and worked with professional player and trumpet teacher - Paul Denegri - at the weekend. 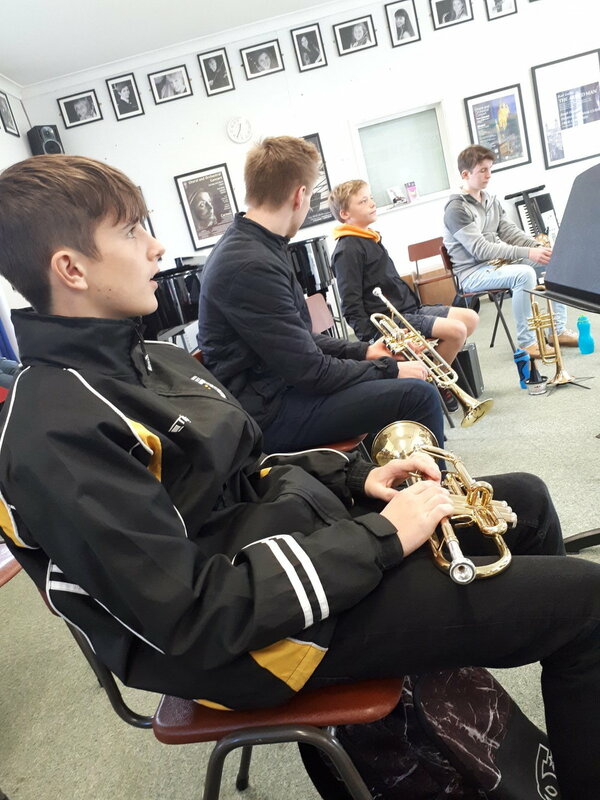 Paul, who is a tutor at Wells Cathedral School, came to Truro School on Saturday 27th October to share his vast knowledge and wisdom with some of our advanced young trumpeters. The time was spent developing breathing techniques and warm-ups and allowing the youngsters to try out new ideas in their playing. James G from Penzance played one of the pieces he is preparing for his Grade 8. Paul helped James to shape some of the phrases and to add more style in his performance. 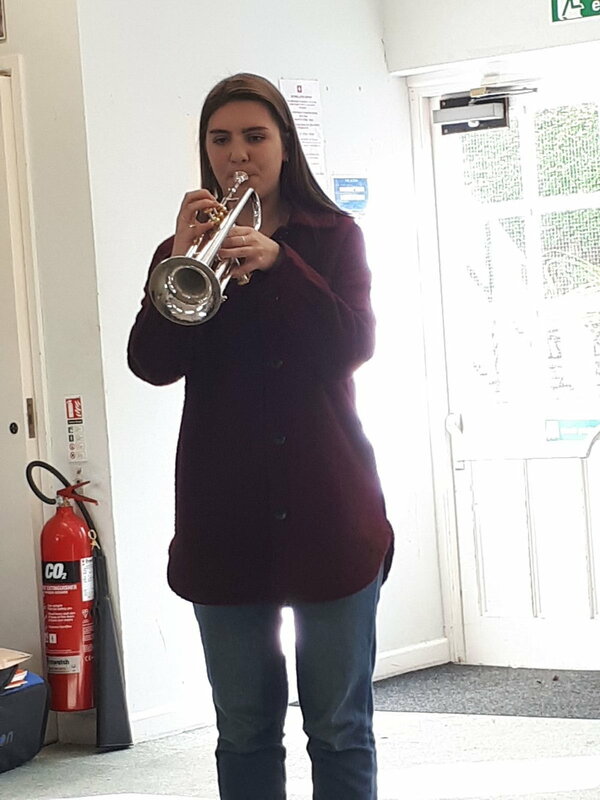 Immy T from Mawnan impressed Paul with her playing by heart of one of her solos. Paul was able to again show Immy how to further create a fabulous atmosphere in her already beautiful playing. Harry F was put into the hot seat with a warm up game he managed with real confidence. A most enjoyable morning was had by all. 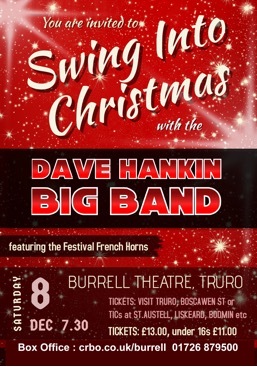 Concerts - free entry for students! Concert of Voice and Brass!